All about hoodoo and conjure spell books, instruction books, grimoires, and books on magic and spirituality. Dear Miss Cat, I got your book today, just can't stop reading and making note. I had to say t's really a master piece, easy to understand and practical. I wonder what kind of herb will you use to describe yourself. I guess it may be sweeten ginger, sweet and spicy. Love your book and Love you, both are great. This book is very useful. I use it sparingly when I want to quickly cross-reference plants, and have written additional notes in it myself. I'd call it a starter guide, but it's more detailed than that- more "instructional reference manual". I just had to drop into this thread and say that I am very glad to have the Hardcover and the Softcover version of Hoodoo Herb and Root Magic. It was too hard to not completely cover the softcover edition with notes and just recently I have given into this urge. Now I have my pristine HC to read and to show friends, and my notes filled copy to work with daily. I would have been leaps and bounds ahead. I am a graduate of Miss Cat's course, I am proud to be a Forum Moderator; I love contributing to this community, and please learn from my mistake. Order the book!!! I just ordered the book last night, and after reading all of these posts, I am going to be checking the mail box every day until it gets here. This book really is awesome - I read it on the plane, read it in the bath, refer to it regularly, carry it with me at times, fantasize about gardening and working with many of the plants when I have my own yard to garden in. It's a treasure and it makes me happy. Got my HHRM Book today . Wish i had read this topic before i had ordered the paperback. I definitely will wear this paperback out. Oh well i will just have to order the hardbound copy later on. I'll ask Miss Cat to write "Hope this one last longer than the first one" in the Hardbound one for me. This book remains the best book of its kind to this day and its contribution in keeping these beautiful traditions alive is invaluable. I *always* recommend anyone interested in hoodoo to start here. Man oh man. I just got the book and I, literally, can't put it down. Even as I type this, it is right on my lap. Such a wealth of information! I have never seen a book about Hoodoo like it. This is the best thing that's happened to me in a long time. Thank you, Ms. cat, for the time, effort, dedication and love you put into this book. This book will surely stand the test of time and will be used and referenced for many, many years to come. It has renewed my faith and interest in Hoodoo. Now, it's time to put my $26 dollars in my Bible so that I may be able to take your course! Again, wonderful work. Many continued blessings. Thank you, Spirit, for your continuous guidance, love and support. Had a dream last night that an older woman was telling me to roast powdered angelica and other roots and flour in a pan to help with my man. She kept telling me to be careful not to burn it and showed me how and where to put it around the house. So, I pick up my copy of HHRM this morning, flip to angelica and see eerily similar instructions on page 30. I'm flabbergasted. Thank you, Spirit and thank you, cat, once again for this wonderful book. I purchased HHRM in February and am loving it. I do have a question: under many of the herbs/roots and their uses is listed "Additional uses at" then it lists other herbs/roots. What does "Additional uses at" mean? It means that additional uses for the herb you are reading about (call it Herb Number One) can be found in the entry for another herb (call it Herb Number Two). Go to the entry that other herb (Herb Number Two) and search through its entries and you will find, somewhere in there, another, different use for the herb you were first looking at (Herb Number One). Yes, i would take Ginger as a special herb for myself, but i also love Rose! 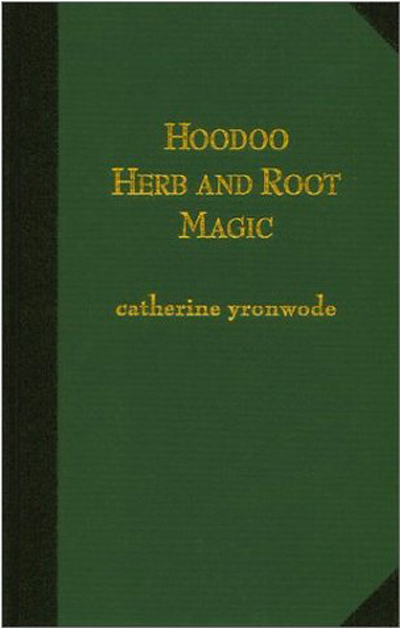 Catherine Yronwode's "Hoodoo Herb and Root Magic" is available only in english ? no french ? That is correct, It is only available in English. The Hoodo Herb and Root Magic book is the best magical herb book which I have read. Straight-to-point information and great cross references helps find the information needed at hand and enjoyable research for fun. Stop Gossip, Peaceful Home, Tranquility, and Peace water I mixed in a bottle of holy water and Mrs Meyer's Lavender all purpose cleaner to ward off any suspicion. I prayed over each ingredient that I added and asked for aid from one of the saints I work with. I am seeing results and can't wait for work next week to see more results. PS , The oils mixed in peace water and holy water without the cleaner and stop gossip smells like Christmas scents. urbanconjuress: Not sure how I missed your post but that is a beyond-wonderful experience! Thank you for sharing. I have had very similar instructive dreams. I just want to say thanks to Miss Cat for compiling all this information and taking the time and effot to write it all down for people! ^_^ Everything is catalogued well and easy to look up. I can even cast spells with things I just happen to already have laying around the house. I've bought a lot of books on magic, but I have to say this is probably in my top three. I love this book! Thank you Miss Cat and everyone who helped her! Thank you to St. Dymphna! I would love to add some hoodoo herbs to the garden I normally grow. Does anyone have any suggestions of what to grow? If you haven't already, check out Miss cat's book, Hoodoo Herb & Root Magic. It might give you some ideas. Look at what type of herbs grow well in your hardy zone as well as those that can be used both medicinally and in hoodoo. Also look at how easy or difficult it is to grow and what kind of light and soil conditions are required. Something like mint is super easy to grow, works well for protection, but will also quickly take over your garden since it sends runners out and multiplies that way. Great lists to consult include those here: http://www.luckymojo.com/hoodooataglance.html & http://www.luckymojo.com/mojocatherbs.html. That second link also has photos and sample spells with the herbs as well as the shopping cart to order some. Before planting, consider ordering a small packet of the possible herbs you think you'd like and working with it, getting to know it, and seeing if you and that particular plant have affinity for each other. If so, then plant it in your garden. The six herb and root special can allow you to try many different plants, saves you some coin, and comes with a small flannel bag you can use to make a mojo as well! Blessings and good luck in your research. I strongly suggest that anyone that is serious about learning about hoodoo, as well as those more experienced, invest in the hardcover edition. Today I received a copy of this book in the mail from a friend swho topped her hoodooing. She said it was sitting on her bookshelf because she moved back home (out of the country) and couldn't get her hands on the herbs that she wanted to use for certain spell work and when she heard that I was interested in rootwork, she said it would be of better use to me than to her... but that aside, I just finished leafing through the pages and the information is just AMAZING. My thumbs do not resemble anything green but I seriously want to start an herb garden after looking into the information in this book. Everything is so extensive and straight to the point. I cannot wait to start working with some of the protection spells (are they considered spells?) in this book when I get back to town. thank you St. Martha, St. Elena, St. Anthony, St. Rafael, St. Gabriel, St. Michael, and Meradonna! Remi, best of luck working the spells lined out in the book. Make sure to tell your friend that she can always order the majority of items listed in the book right here, at the Lucky Mojo Curio Company website. Another fine review for Ms Cat's HHRM book ... this time from a professor. I also ripped through it in one setting... and I have to say, my favorite part was the introduction! It's the cultural context and how-this-book-came-to-be part that I found so interesting and useful... and then... the materia medica is really remarkable. I really want to state, no sugaring-up-fangirl-stuff here, this sort of archive and documentation of a cultural magical tradition is so rarely found and so terribly important. People like me who do research for a living cry with joy when source material like this is made and compiled. Ms Cat, between this book and the Southern Spirits primary source sister site, you've given a gift to cultural scholars and anthropologists by doing such painstaking research about this, and I hope you know that. Thank you. And speaking as a magical practitioner, thanks for the spiritual gift. I'm shooting to be able to take the Correspondence Course in a within the year. Super Excited ... I have been gifted this book! I will start asking more and more questions that I am sure I will have. Thanks Cat for writing this book!!! Thank you all..Spirits and Helpers ...I am snowed & Iced in today.. perfect time to read my HHRM gifted book!! An amazing book. I haven't found a reference book to exist to come close to matching this book. Catherine is also very nice and friendly when i friended her on Facebook and thanked her for her amazing work after i purchased the book. Very worth the purchase and i recommend it to any rootworker or any other practitioner who uses herbs and roots out there. If you don't own any other book, this one alone is sufficient. Thanks again Catherine! I just recieved my copy of HHRM yesterday & WOW! simply impressive...i have no clue how Ms. Cat does it all. i sat and read about half way through last night then kind of skipped around to a few Herbs & Curios ive become familiar with. GREAT BOOK, very easy to read and understand. The illustrations are great also.THANK YOU for your time and effort Ms. Cat, sure fire way to keep Traditional Hoodoo alive throughout the generations. To learn is to live. Absolutely! But even more so is the willingness to constantly provide guidance, instruction and support to those who are novice and pros alike! Got my book today, a quick flick through and it looks awesome, looking forward to reading this. Thanks Catherine. Let my dreams be bigger than my fears. And my actions louder than my words. I don't think Miss cat will give away any secrets. Hahaha! I was making oils for money-drawing when someone said we had a few orders for the book, so i signed them all with oily fingers! I have a question. On page 93, Fenugreek seed can be used to draw money to the home. Is that considered a spell? If I’m doing another spell to attract money to me, is it o.k to do both? Also, in addition to the uses in Hoodoo for herbs, there is also what has been said to be the medicinal use for some of them. People that lived in rural areas way back in the day did not have ready access to doctors. In the country my family is from, it is the custom to use herbs for various ailments. They had to make do and they did. The book also showed me medicinal uses for herbs I didn’t know about. I am a big believer in natural remedies due to my background. I have never had an allergic reaction to an herb. There is a possibility of allergies for some. Caution is the word of the day. It’s best to approach new herbs in very small amounts, if at all, when a person has shown a propensity for allergies. That’s what I was taught. The book is a great resource for me in more than one way. Thank you so much for it, Ms. Cat. Fenugreek seed can be used to draw money by adding it to any money herb mix you are using or by using it as a floor or path sprinkle. You could also add it to oils or incense. I am glad you like the added medical uses in the book. That was meant as a little bonus, but many do find it useful. With more than 20,000 copies in print after 14 years, we are again going bak to press for the EIGHTH EDITION of "Hoodoo Herb and Root Magic" -- an additional 5,000 copies. There will be minor typo corrections, a couple of changed lines of type, and a space tweak here and there, but nothing spectacularly different from the 7th edition -- still, like all the previous editions, it is not an exact press reprint: "Onward and Upward With the Arts" is our motto, and we live by that. Thanks, all, for supporting this book over the years; it is reaching exactly the place i hoped it would when i first wrote it. The Green Bible will live forever! What book should I buy that tells you how to use oils, herbs, powders and candles etc? I own the book (finally...) and love it. I haven't read it very thoroughly yet but i am getting there. My question is this: how about the rituals and the words we use. If we make an oil for example, what do we say? Do we say our own prayers? Do we make a protective circle before we work? Does the moon phase or the time of day/night matter at all? Do you prepare the materials by exposing them to the stars for three nights as we do? How exactly do we use this valuable information? Forgive my questions but I come from the south of Europe, and we do have a strong tradition here as well. However it's words words words as well as herbs, you know? I don't want to do damage instead of good, or use the knowledge wrongly. Finally, if you wish to locate answers to your questions within this forum, just do a word-search for common terms like "moon phases" or "casting a circle" and you will be directed to posts and threads in which those words occur. Ask questions in those threads and you will receive prompt and helpful replies. I have a long journey with hoodoo it seems. I am very interested indeed. Hi there! I hope I'm not being repetitive, but I was wondering: Is there or are there any plans for an electronic format for HHRM? Sometimes when I can't find something or I can't remember where I read something, I was hoping I could search it, like with Ctrl+F. I know everyone is quite busy and just wanted to help myself as much as I could. Thanks!!! P. S. I bought it already--directly from LM. Evolving to my best self! Cultivating the Hoodoo way of thinking, always looking for knowledge! NO. I earn my living by printing and selling books. I do not find that my fellow-authors whose works have been converted to electronic sales form can make a living at all. Their royalties (their sole source of income from books) drops to about 10% of what it was for each book that their publishers convert to electronic form. The rip-off culture feeds on electronic texts and the rip-off culture is a grotesque disincentive to all authors. We are literally being stolen from daily. I will not make it any easier for people to rip me off. There is, however, a great helper-page here, called "Hoodoo at a Glance." Check it out. 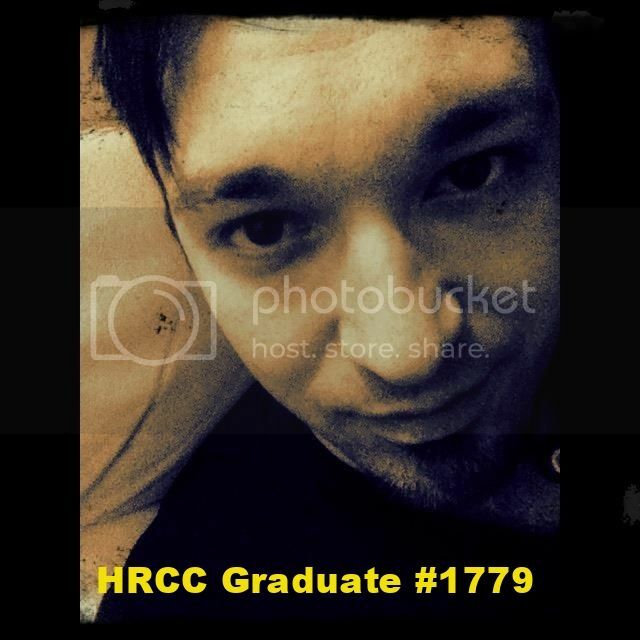 I just got my copy of HHRM in the mail and even though we're in July, I feel like a kid on Christmas morning. I can't wait to dive in. Thanks Ms. Cat for a great resource! I'm glad you like it and i hope it shreds a lot of light on your journey into conjure.